Diligence, precision and efficiency: These have been the famed attributes of German engineering for more than a century. German engineering is our DNA but today, Continental can also boast of engineering expertise that spans around the globe: 244,000 passionately committed individuals in 61 countries realize the dream of mobility for customers every day. 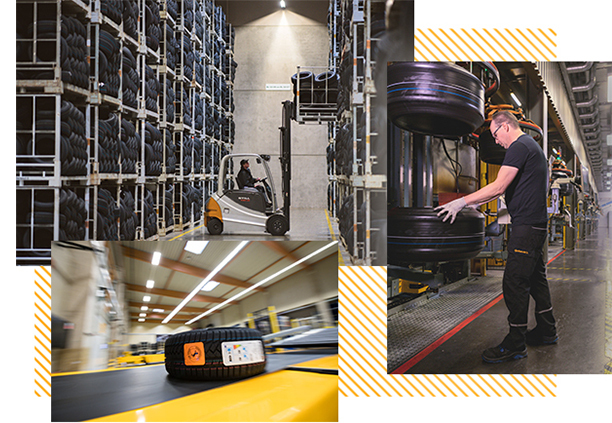 In the tire division alone, 54,000 employees across 24 countries are picking up on trends and market changes, making use of them more quickly than others, and coming up faster with more effective solutions for our customers. What unites them is a culture defined by trust and the knowledge that success has to be earned. Continental Tires has always aspired to be the best. A strong global team spirit is enriched by the skills and expertise of a diverse workforce. We are convinced: only values create value and allow us to realize our company goals of innovation, productivity and global growth. Continental has been working on making our streets safe without compromising driving comfort or pleasure since the company was founded in 1871. 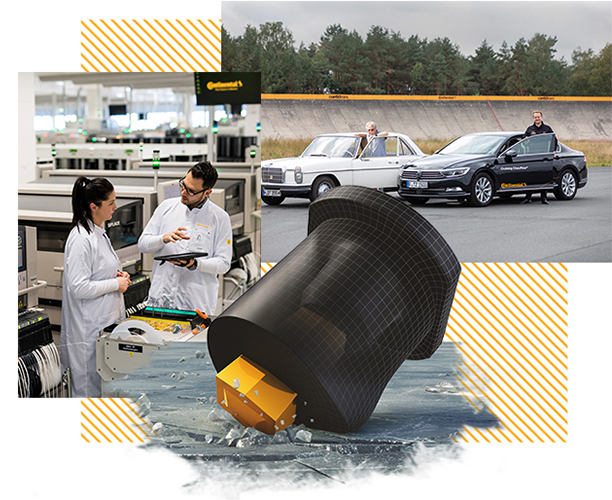 From early innovations, such as the world’s first tire with tread pattern in 1904, to the visionary eContact electric vehicle tire range and our automotive technology innovations, Continental has consistently demonstrated its pioneering spirit: from Hanover into the world. And we continue to do so in all areas of our business - ready for the transformation of the automotive industry, ready for the future. German engineering and accuracy is not only legendary, it is state of the art. Continental seeks to prove this inventive spirit with every new product. Our Engineering Center with over 1,000 scientists, designers and engineers in Hanover, Germany, invents, develops and tests with one simple goal in mind: making mobility safer. All that, of course, to the highest German standards – for almost 150 years. The result is a wide range of superior products for virtually all forms of mobility. From high-performance tires for cars to innovative light trucks solutions, we have a solution for almost every application, need and market around the world. And as special challenges need special solutions, we allow nature to guide us. Nature always adapts, adapts itself to individual needs and a special environment. We work in a similar way, making your challenge our own, finding individual solutions from our extensive portfolio that best fits your operation, local needs and specific market requirements. Tire production has come a long way in the last 100 years. Dirty, smelly workshops where workers mold rubber by hand - are no more. Today our production employees ensure that Continental delivers top-quality right-on time – working efficiently, sustainably, and safely. This includes applying new and innovative technologies, keeping machines running at optimum capacity as well as efficient defects management. That is why the establishment of our first High Performance Technology Center is a significant milestone. One of the first ever Continental production plants was built in Korbach in 1907. Today, the small town in Germany is home to the innovative Continental plant which is moving tire production into the digital age using machinery and production processes that are completely networked and documented via sensor systems and software. When it comes to road safety, the tire is the critical point of contact between the vehicle and the road. Drivers need the right tires for optimum performance on all surfaces and in all seasons. That is why we never compromise on quality. When Continental started out over 100 years ago, tire production was more or less well-thought-out handcraft. Today it is a highly technological process. Each tire type and model is designed specifically for its purpose. Precision down to the smallest chemical component is essential in the development of plastics, rubbers and polymers for our products. Working closely with our customers, we define and develop customized formulas that deliver finished products in top quality. We keep our high quality standards across all our operations by investing into maintaining, standardizing and improving the effectiveness and efficiency of our activities and business processes in our R&D departments and plants. "We once grew with horsepower and hoof buffers. Nowadays, our growth is driven by billions of bits and bytes. 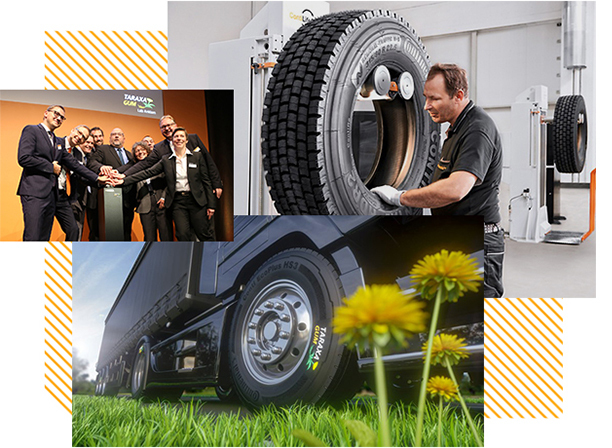 This is a process of transition: Continental the tire manufacturer, automotive supplier and industrial partner has become Continental the manufacturer of leading technologies and services. This process of ongoing change offers a range of opportunities for us." More efficiency and increased safety on the roads are two of the main driving forces for innovation at Continental Tires. Continental's latest innovation in tire technology is the new ContiFlexStud™, a whole new type of stud that signifies an exciting revolution in the winter driving experience. The brand-new design delivers dramatically reduced road wear, better grip on ice, longer-lasting performance over its entire lifespan and less interior stud noise. Another innovation focus area is the testing of our tires in combination with new technologies, such as automated and autonomous driving vehicles and cars. At Continental Tires, we respect people and the environment. Our goal is to actively protect our planet’s natural resources. That is why our actions are characterized by the constant pursuit of higher efficiency. 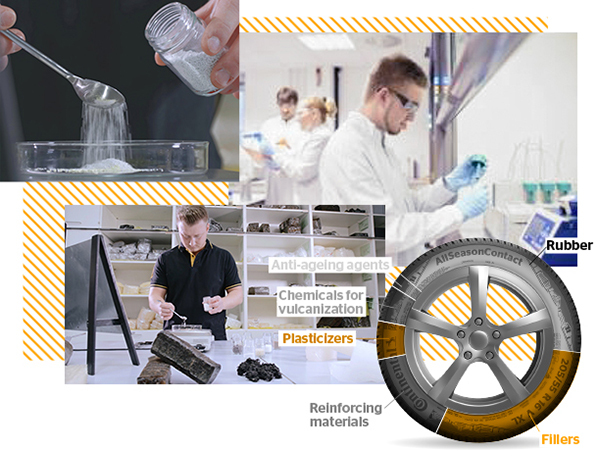 One of our efforts in this area is in the research and development of alternative materials for tire production. We recently opened our research laboratory “Taraxagum Lab Anklam” in Anklam, Mecklenburg- Western Pomerania, Germany. The lab is dedicated to agricultural research and the extraction process for Russian dandelion as an alternative raw material source to the rubber tree in the tropics. In addition to developing new materials, Continental has also developed an approach to recycle rubberized steel cord scrap from tire production. High-tech tires, intelligent technologies for mobility, transporting materials and processing data are our domain. Since the 1980s, Continental has progressively developed into an international company that spreads its values and culture around the globe to best serve customers in all regions. We provide the right solution for every single market and the needs of every single customer.